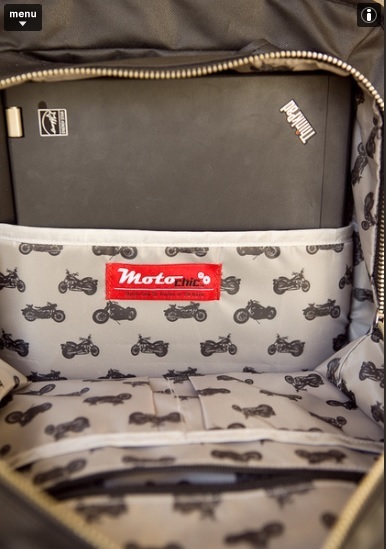 If you’re a motolady who uses her motorbike for more than joy rides, you’re going to need this convertable backpack purse from MotoChic. 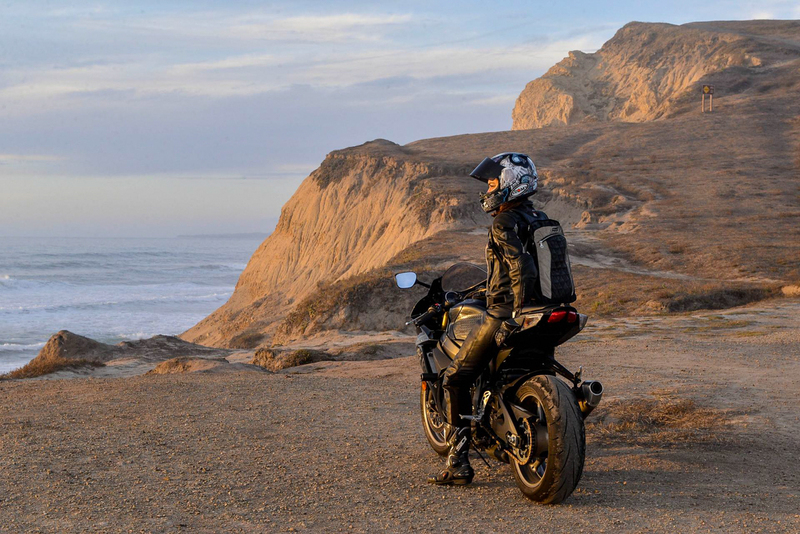 The caveat of motorcycle riding- trying to carry all the stuff you need on your back, or strapped onto a tiny rear seat or tank. Ladies, general being used to carrying a purse, have a harder time downsizing their everyday carry items down enough to fit into undersized pockets in riding jackets… or in almost nonexistant jean pockets. Huzzah, a solution! 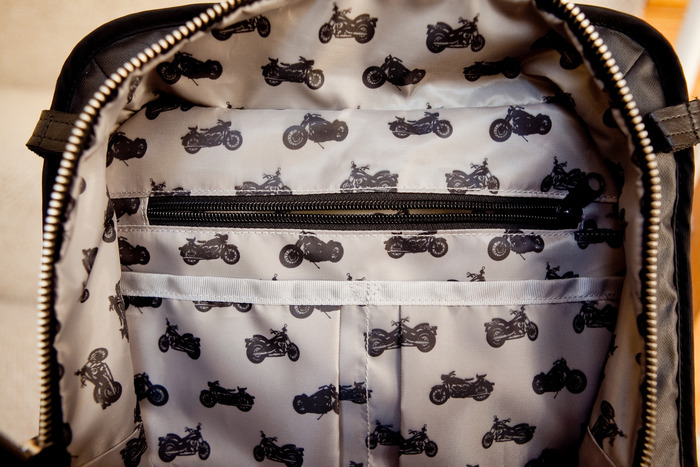 A good looking, convertable backpack that seamlessly turns into a purse for off-bike use. It even comes with a removable rain fly for bouts of bad weather! The backpack straps are sturdy and have an ergonomic fit, keeping it secure during your ride. 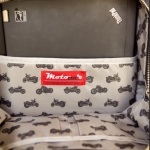 The interior is lined with cute motorcycle print, includes a laptop or tablet sleeve, great organizational pockets and a front pocket with even more storage space… even a key clip. A small, often overlooked detail that is incredibly useful. They even thought to include hydration tube clips for sliding a camelbak or similar product inside. The convertable backpack/tote is called the Lauren, after iconic actress, model, and rider Lauren Hutton. 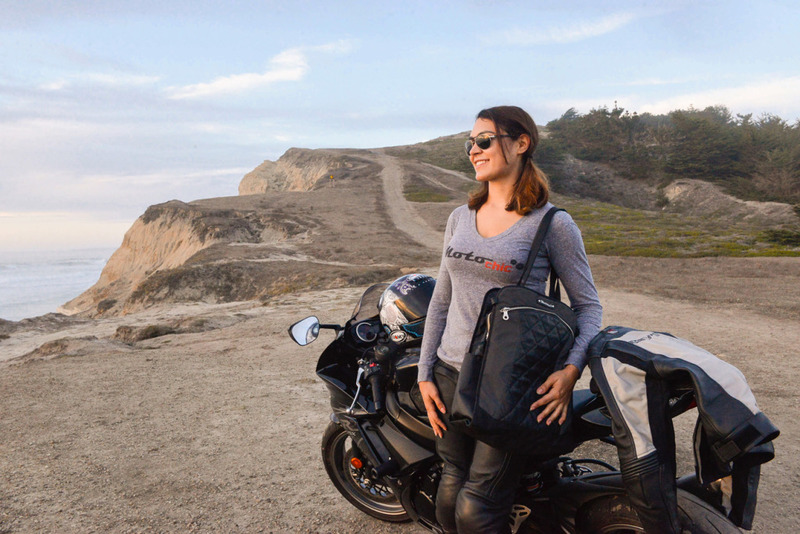 Expected to be manufactured in 2015, the MotoChic: Lauren kickstarter campaign is live with just 14 days left in the countdown. Pre-ordered early bird bags are $180 and expected to be delivered in February and there are less than 25 left, or the next round in June. They’ve also created a smaller, convertable clutch/purse called the Valerie after world speed record holder Valerie Thompson. It goes well with the Lauren, or stands alone with five different ways to wear it. Fanny pack (oh yeah, they’re coming back), long purse, shoulder purse, wrist bag, and more. 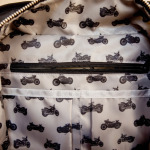 Check out the MotoChic kickstarter campaign and website to back this project and get your goodies before everyone else! 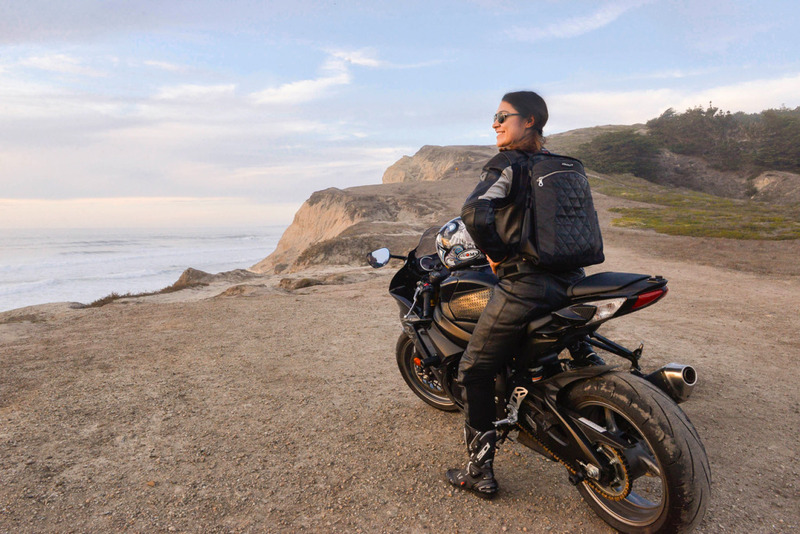 What lady rider doesn’t need a transformable backpack? The fact that it’s can be waterproof makes it that much better.